Judith W. Linsley has been appointed the new director of The Center for History and Culture of Southeast Texas and the Upper Gulf Coast replacing founding director Mary Scheer, who retired in December. Lamar University is honored to welcome Linsley. She is a graduate of Lamar University with a Bachelor of Arts in Spanish and a Master of Arts in History; Linsley is also an experienced and respected history researcher and writer. Linsley has published extensively on the history of Beaumont and Southeast Texas, co-authoring “Beaumont: A Chronicle of Promise,” “The McFaddin-Ward House” and the award-winning “Giant Under the Hill: A History of the Spindletop Oil Discovery at Beaumont, Texas, in 1901.” She has also published articles appearing in the “Southwestern Historical Quarterly” and in the “Texas Gulf Historical and Biographical Record,” as well as for the Local Writers Project for the Center for Regional Heritage Research at Stephen F. Austin University. 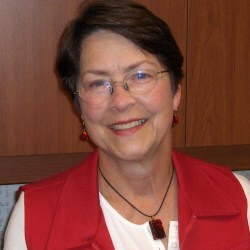 Linsley has been editor for various publications and an adjunct history instructor at Lamar University. Linsley’s historical interests include the African American experience, women, nineteenth- and early twentieth-century Texas and oral interviews. In addition to her work with the Center for History and Culture, Linsley is also a researcher at the McFaddin-Ward House Museum, where she previously served as curator.